It is the children who are in control in this cleverly conceived, chaining counting book as the reader discovers in the final spread. 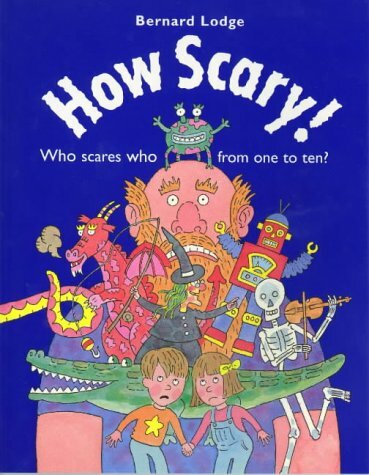 There it is revealed that the boy and girl being chased by one 'Growling Giant' are the animators of various play items - two 'Dreadful Dragons', three 'Snappy Sharks', right through to nine 'Angry Aliens' and ten 'Rattling Robots' - as the pursuers become the pursued. The characters cavort in the brightly coloured illustrations outlined with fine black pen. The whole is an invitation to mathematical exploration and discussion, imaginative play, storytelling and language play.